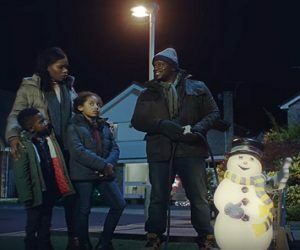 The electronics retailer Currys PC World has released a new ad campaign, titled “Get It Right”, promising they will help you get the right gifts this Christmas. One of the adverts, Unsubtle Hints, features a man who drops a very unsubtle gift hint to receive what he wants for Christmas. More precisely, he placed lighting arrows into the direction of an LG 4K OLED TV, so when the “concerned” ones comes to visit and sing carols they would understand.